Hey, hey my friends! I bet you’ve been wondering what has happened to me this week. 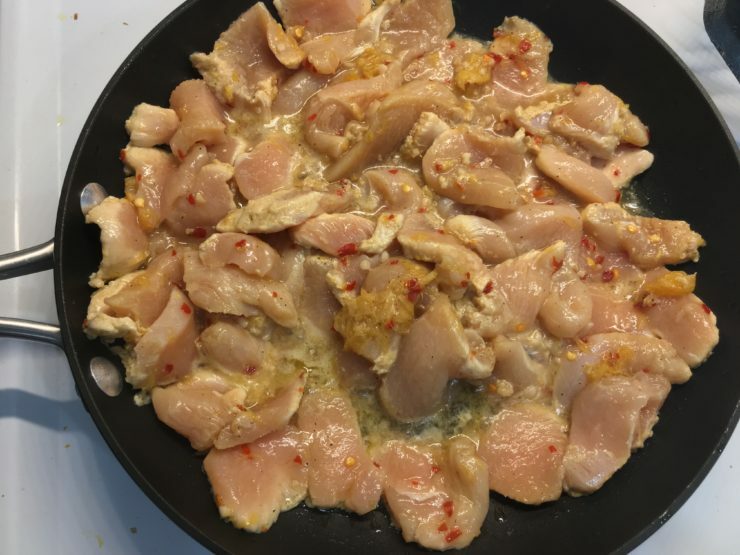 I normally post three new recipes each week and so far, it’s Wednesday and this recipe for Paleo Orange Chicken is the first recipe I have posted. 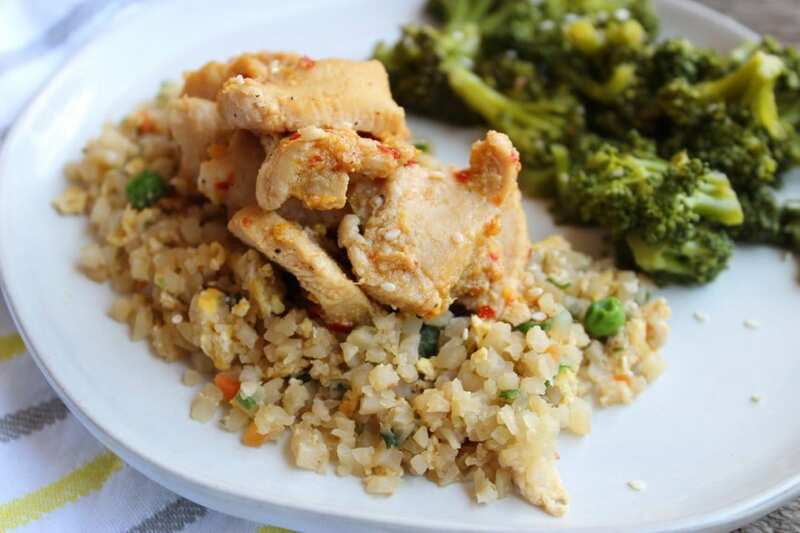 If you’re a big fan of Chinese food and especially Orange Chicken, (like I am) then you’re going to love this Paleo Orange Chicken since it is a much healthier alternative. 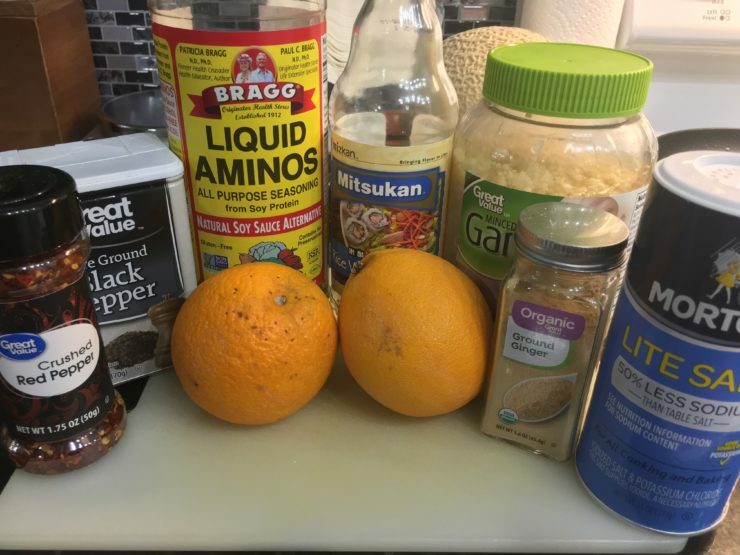 My recipe for Paleo Orange Chicken can also be made Whole 30 compliant by subbing the Liquid Aminos for compliant Fish Sauce or Coconut Aminos. 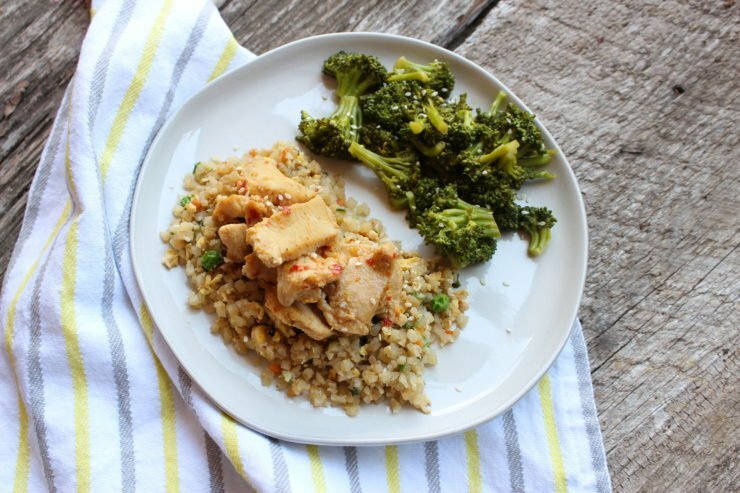 So let’s get down to the nitty gritty of this Paleo orange chicken. 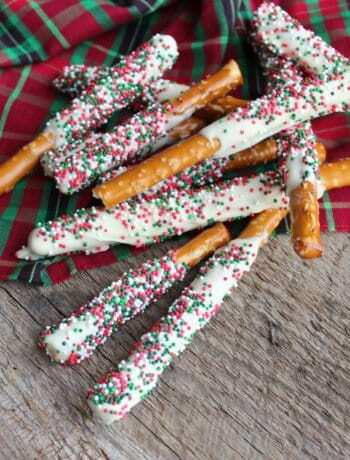 In creating this recipe I have taken simple, non-processed, whole and fresh ingredients and combined them for a mouth watering combination of flavor. 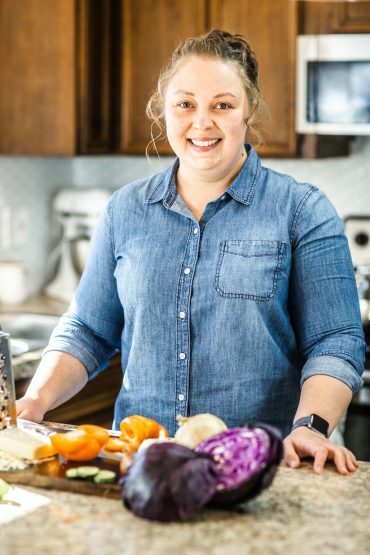 I have slowly been changing my mindset about food and thinking of food as fuel for my body and not simply tasty morsels that I pop in my mouth. This Paleo Orange Chicken is a perfect example of a flavorful, body nourishing meal without adding any ingredients that your body won’t like. I started out by laying out all of my ingredients. So for this Paleo Orange Chicken you’ll need: crushed red pepper flakes, ground black pepper, ground ginger, salt, liquid aminos (or fish sauce, soy sauce, or coconut aminos), rice vinegar, fresh minced garlic, and two organic oranges, along with some sesame oil and one pound of boneless skinless chicken breast cutlets or chicken tenders. 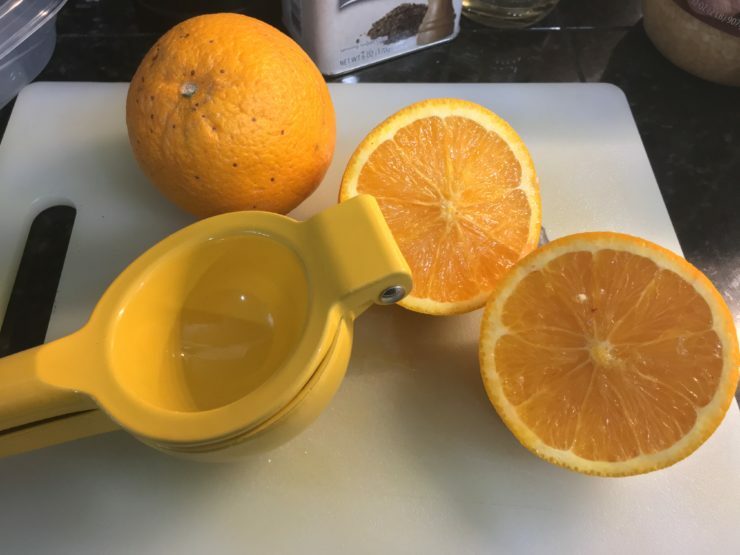 Slice your oranges in half and use a citrus press to squeeze the orange juice from the oranges or squeeze the juice out with your hand. 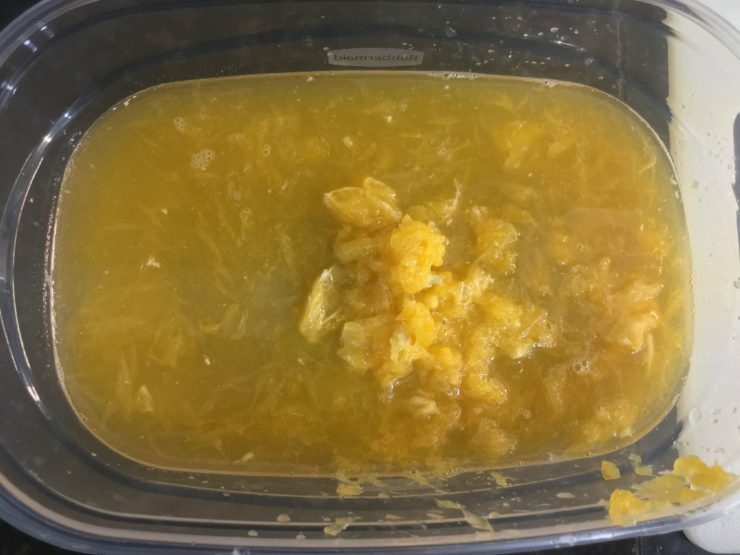 Just make sure when squeezing the orange juice that you have removed any seeds that may be hiding and squeeze the juice into a large plastic or glass bowl with an airtight lid – this is the bowl you will be marinating the chicken in. Once you’ve squeezed the juice from the orange, use a fork to scrape the inside of the orange and remove the pulp. Add that pulp into the bowl with the orange juice – this just adds a little more flavor. Once the orange juice and orange pulp is in your bowl, add in the crushed red pepper flakes, ground black pepper, salt, ground ginger, liquid aminos, rice vinegar, and fresh minced garlic. Stir your marinade well with a fork or small whisk and make sure there are no lumps from the seasonings. Rinse your chicken and then cut it all into bite sized chunks. 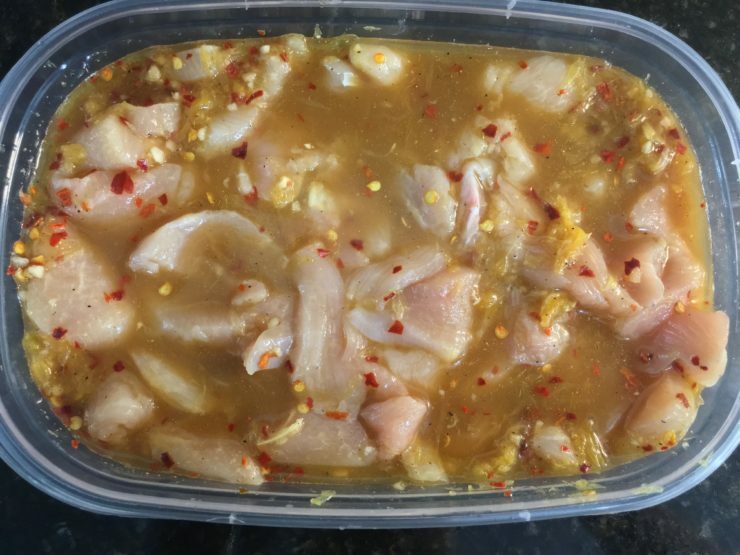 Add the chicken into the marinade, stir it in and make sure all of the chicken is covered by the marinade, then place the lid on the bowl and marinate the paleo orange chicken in the fridge overnight. The next evening when you’re ready to cook the chicken, pour one teaspoon of pure sesame oil into a large skillet and heat the oil over medium high heat until hot. 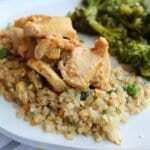 Place the chicken in the skillet, discard the marinade, and cook the chicken on medium heat, stirring often. Cook the chicken uncovered, until cooked through. This chicken is going to be really juicy but don’t worry, the liquid will evaporate as it cooks if you leave the chicken uncovered. 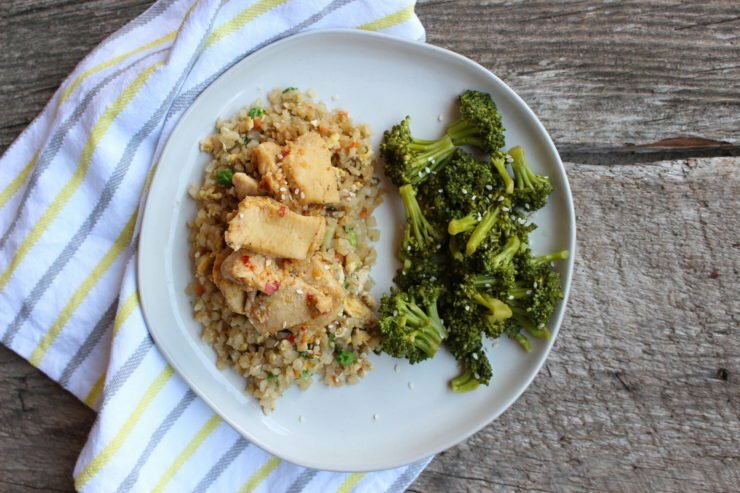 Once the chicken is cooked, serve it over some cauliflower fried rice with a side of steamed broccoli and enjoy! I buy the frozen cauliflower rice with carrots and green peas and just cook it according to package directions, adding in liquid aminos, ground ginger, and two scrambled eggs to complete the fried rice. 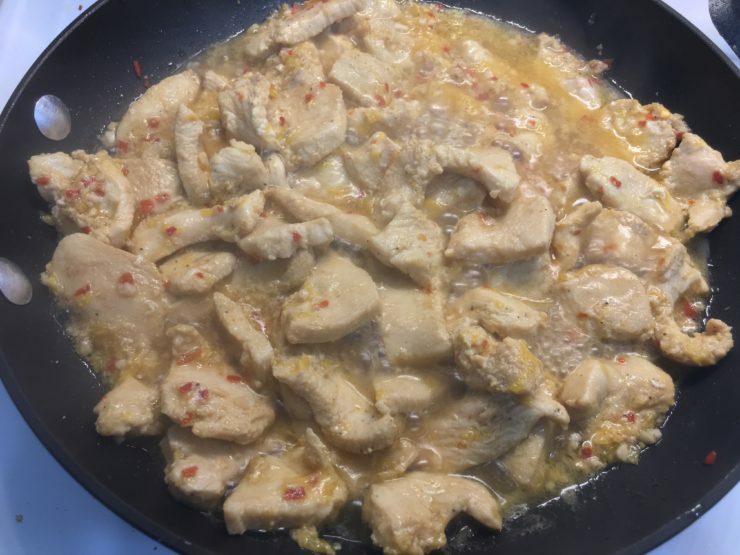 I hope you all enjoy this recipe for Paleo Orange Chicken as much as me and my family did! I even made extra and portioned it out for lunches throughout the week. 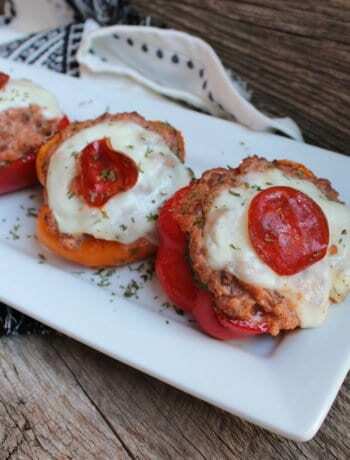 This recipe re-heats well and tastes just as good reheated as it did the day it was made! Here’s to a happy and healthy summer to you all! 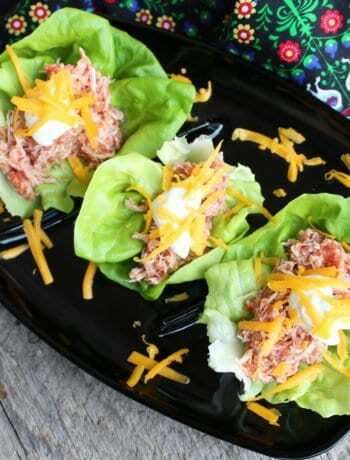 A clean, whole foods recipe that is simple and delicious. Slice the oranges in half, remove any seeds, and squeeze the orange juice into a large bowl with an airtight lid. 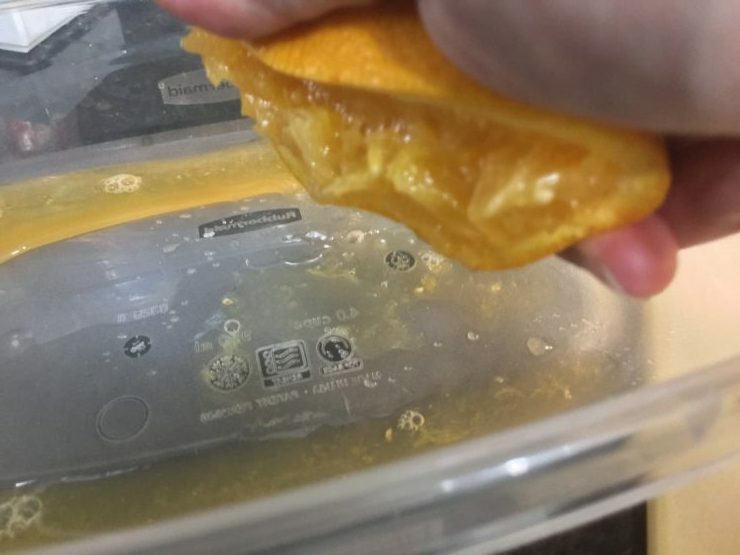 Use a fork to scrape the inside of the orange to remove the pulp and add in the juice. Add in the red pepper, liquid aminos, rice vinegar, salt, black pepper, ginger, and garlic and stir until no lumps remain. 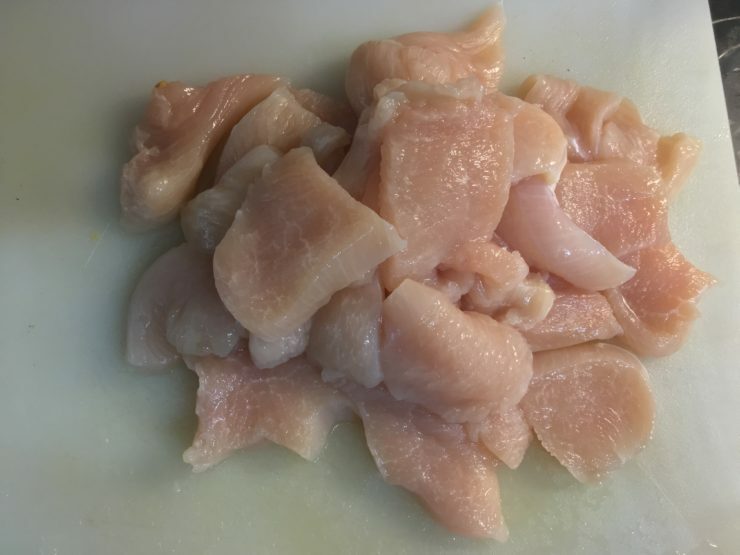 Cut the chicken breast cutlets into bite sized chunks and place in the bowl with the marinade. 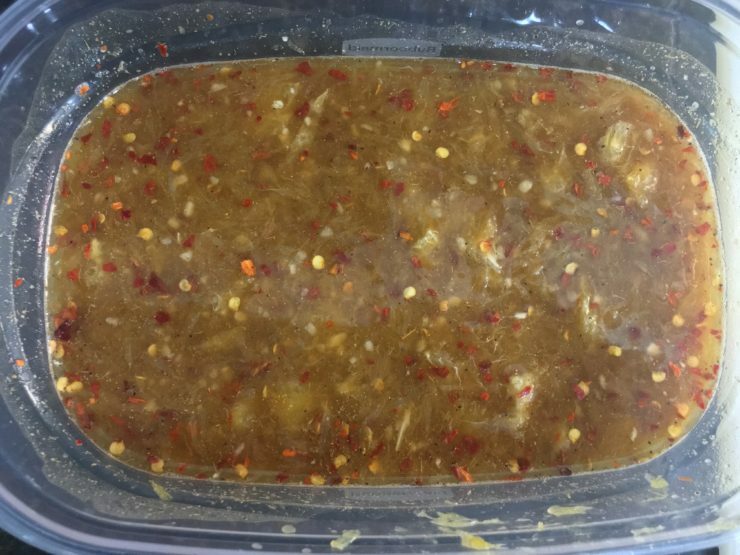 Stir the chicken into the marinade, ensuring that it is all covered evenly and then place the lid on the bowl and marinate overnight in the fridge. Place the sesame oil in a large skillet on the stove and heat on medium high heat until the oil is hot. Add in the marinated chicken (discarding the marinade) and cook on medium heat, stirring regularly, until the chicken is cooked through. 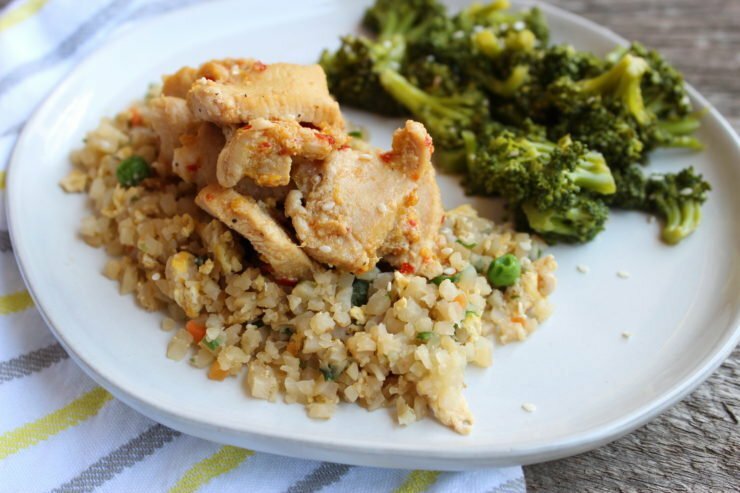 Serve the chicken with cauliflower fried rice and steamed broccoli or your choice of sides and enjoy! Liquid aminos can be replaced with coconut aminos, fish sauce, or soy sauce according to your preferred tastes.